Anneka M. Jenkins, Member of Alpha Kappa Alpha Sorority, Inc. and Alumni NFL Cheerleader, Anneka Jenkins received her B.A. in Communications with an emphasis in Radio Broadcasting. 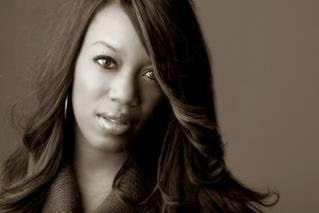 Currently lending her skills to Cox Media Group Atlanta, Anneka is also the Co-Founder of Show Me Shoes Foundation. The mission: rebuilding confidence..starting at the "sole". 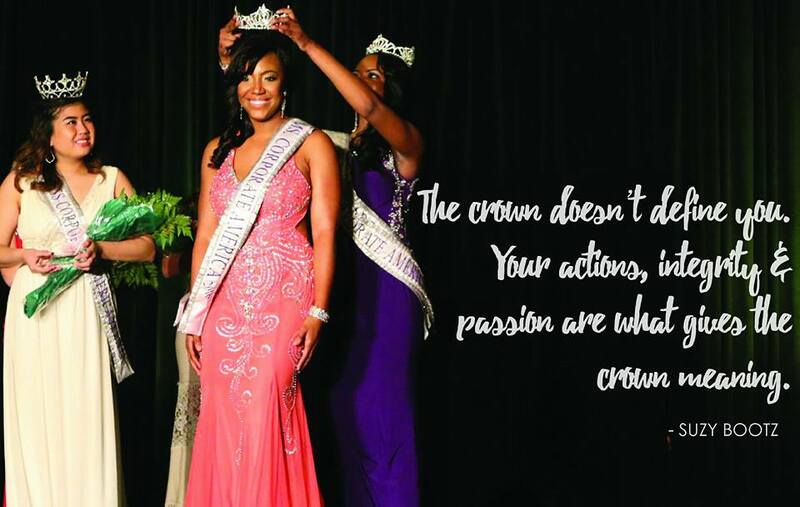 Anneka M. Jenkins: At the beginning of my philanthropic journey, my biggest obstacle was the fear of getting started and not having everything together. When Show Me Shoes started in 2009, our idea was simply to collect shoes for women in need. That mission grew to become something bigger than the initial seed that was planted resulting in missions that serve not just women who new new soles.. but new souls. We overcame these obstacles by keeping the momentum going and living personally through our mission. AJ: My personal journey inspired me to break into the philanthropic space. I was a Midwest girl, who was the only child with big dreams. When I moved to Atlanta to grow my career in media, I was blessed with a large group of interns who were just like me as a freshman or sophomore in college. When I finally figured out that life wasn't about me, yet my story - there was instant gratification in serving others - by inspiring them that they too can live out their deepest desires and dreams. AJ: Be comfortable being uncomfortable. AJ: There are so many influential people in my life. I am truly influenced by my family, friends, “sole-sisters”, volunteers,mentees and mentors. They have all overcome some sort of adversity, are goal-driven and risk takers on this journey we call life! AJ: My “must-haves” to keep my career going strong are my faith; a strong team of supporters, Stop, Breath and Think Meditative app; my Google calendars and a clear, peaceful and open mind. AJ: My definition of a BOSS was taught to me by my mentor Janna B and has stuck with me ever since. BOSS is an acronym for a woman who Believes, Owns, Sees and Seizes their destiny. Some women sit around waiting for others to give them a golden ticket to success. Other women grab their black leather suitcase, put on their power heels, and create opportunities that align with the essence of who they are. When you see this woman, she’ll radiate with so much confidence that you’ll automatically know that she is a modern-day career goddess. The most strikingly surprising part is that her confidence isn’t layered with an ounce of cockiness; it comes from having clarity about who she is and having the courage to create the life that she wants. She’s mastered the career game because she’s proven that she doesn’t have to compete with anyone to climb the career ladder. She’s distinguished herself in a way that makes her incomparable to any other woman in the room. She’s in her own lane. Her lane is so appealing that other women secretly wish they could be her. Now, if you think you are a modern-day career goddess or have come face-to-face with one, here are three frequent habits that will confirm your thoughts. Many people talk about their dreams, but a career goddess takes the extra step to living her dreams. You may find her waking up at 5 AM to prepare for a 5K run or scheduling lunch meetings with accomplished leaders who can help her move to the next level in her career. Her unwavering commitment and daily focus make it impossible for her to fail. She doesn’t have time to engage in conversation about what she wishes she would have done because her calendar is filled with activities that are getting her one step closer to every goal on her list. She Updates Her Resume When She Isn’t Looking for a Job. A career goddess is always prepared to take advantage of a new opportunity. During her quarterly reflection, she updates her resume to ensure it captures all of her most recent accomplishments and is a reflection of the opportunities she seeks to take advantage of. She understands the value of feedback and makes sure that she has others review her resume. A career goddess takes pride in her physical appearance but also makes sure that her resume equally measures up to the professional image she’s created online and in-person. Jealousy is definitely out of style. A career goddess knows that she doesn’t have to tear other women down in order to build herself up. Her empowering words instantly raise her brand to new levels of leadership. You’ll find her complimenting another woman on their new hair style, giving all-star recommendations on LinkedIn to women who have delivered exceptional speeches or taking the time to mentor another woman in the workplace. A career goddess understands that her success is quantifiable by the number of women that she lifts up, so she frequently invests time and energy into building other women up as she climbs the career ladder.